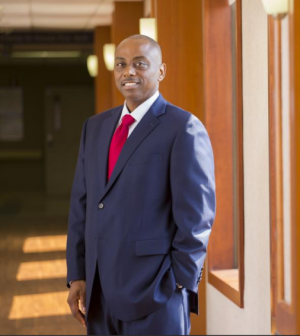 From St. Louis Business Journal: Rick Stevens is overseeing more than $40 million in projects at Christian Hospital’s two campuses in north St. Louis County. The largest portion of this is the $20 million BJC HealthCare and the Washington University School of Medicine plan to invest in the new Siteman Cancer Center to be built on what currently is vacant land on the Northwest HealthCare campus, which is 6 miles west of BJC’s Christian Hospital campus on Graham Road in Florissant. Design work is underway for the new 38,000-square-foot facility, and pending necessary approvals, Siteman plans to break ground on the new location in early 2018 with completion slated for 2019. Dr. Timothy Eberlein, Siteman’s director, told the Business Journal in January that Siteman was planning to expand into north St. Louis County, and BJC and Washington University announced in June that a new facility would be built in Florissant, although the cost of the project was not disclosed. Other projects that are part of the additional $20 million to be spent on new construction or renovation at Christian over the next three years include the continuing work on the renovation of the hospital’s third floor into all-private rooms, which is slated to be completed in October. At the beginning of 2018, the hospital plans to begin a similar renovation to turn the ninth floor into private rooms, then move on to the 10th floor. Upon completion of those three floors, the majority of Christian will have made the transition to private rooms, Stevens said.